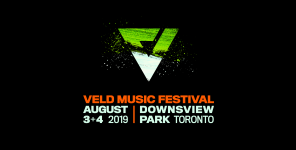 INK Entertainment, Canada’s leading hospitality and entertainment company, is proud to present the eighth annual VELD Music Festival on August 3rd and 4th at Downsview Park in Toronto. 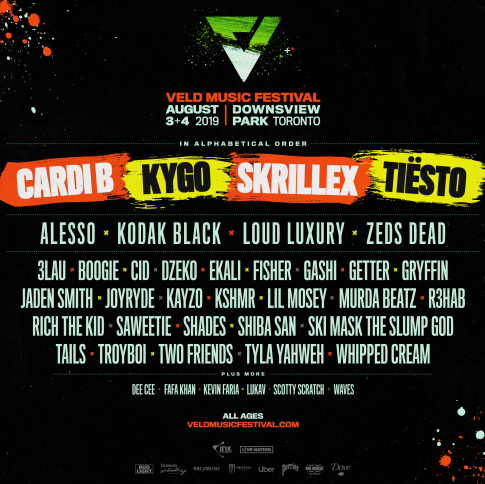 As the country’s longest-running outdoor music festival, VELD will welcome the world’s top hip-hop and dance music talent including Grammy Award winning, record breaking artist Cardi B, Kygo following a sold out show at Scotiabank Arena, electronic music’s most recognized DJ Skrillex, and Tiësto, the widely celebrated “greatest DJ of all time”. Other famed talent confirmed to perform at the Toronto festival include (in alphabetical order); Alesso, Kodak Black, Juno-winning duo Loud Luxury and Zeds Dead.